Newgent says, "A smoothie is 'healthy' when it's not simply a milkshake or sugar 'bomb' in disguise. Ideally, a healthy smoothie is based on wholesome ingredients and has a balance of macronutrients — good carbs, protein and healthy fats." 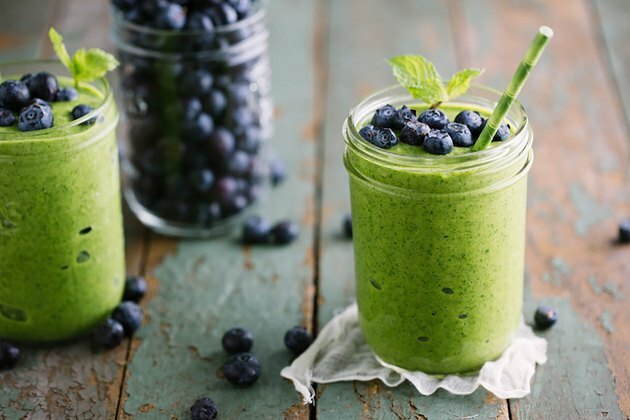 With that in mind, we've rounded up a bunch of weight loss smoothie recipes below that hit that nutritional mark and will help you achieve your weight-loss goals, one cup of blended goodness at a time. So how does one go about making a healthy green smoothie? A lot of it comes down to your taste preferences, but remember to stay away from adding foods loaded with sugar like honey, maple syrup and processed nut butters. 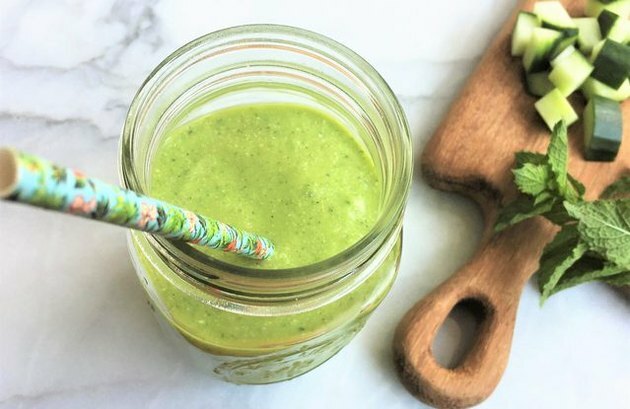 This green smoothie follows Newgent's guidelines for a healthy smoothie recipe: Avocado for healthy and beneficial fats, a serving of chia seeds for a plant-based protein and a healthy serving (one and a half cups) of nutrient-dense kale. 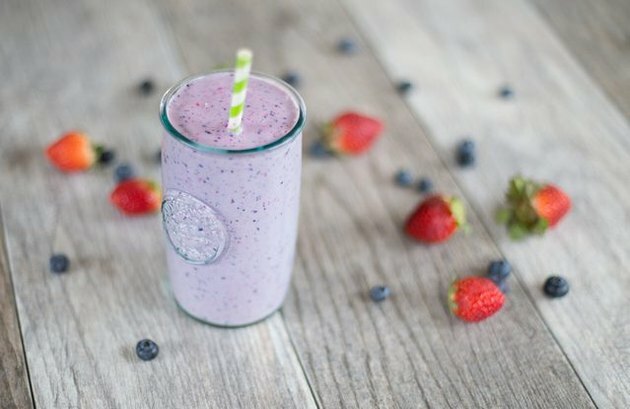 So, if you're looking to lose weight, are smoothies actually a good way to do it? 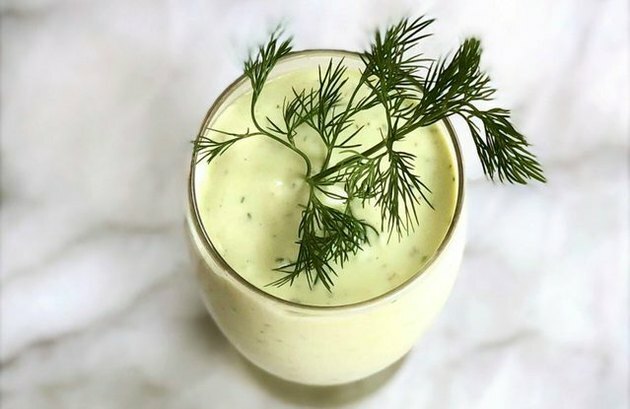 Newgent advises that smoothies can be helpful for weight management if they're, "appropriately integrated into an eating plan to fill a nutrient void, if the serving size is just right for your energy needs, and if the smoothie provides ingredients that can boost satiety — that feeling of fullness." It's the coupling of protein and fiber that is the key to satiety, Newgent explains. When purchasing matcha, Stephen Cheuk, founder of House of Matcha, told Well + Good to look for ceremonial-grade matcha green tea powder stored in re-sealable packaging (not a loose bag or foil) since it's a live product and it's critical to maintain freshness. He also recommends buying matcha that is bright green, silky in texture and smells fresh and 'green,' ideally produced from one of these areas in Japan: Uji, in Kyoto prefecture, and Nishio, in Aichi prefecture. And when it comes to matcha, you get what you pay for. "Ceremonial matcha will cost around $29-$39 for about 30 grams," says Cheuk. 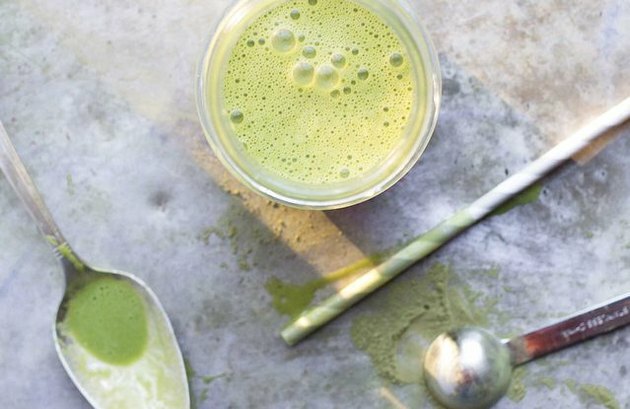 Avoid matcha green tea powder that cost as much as a generic box of tea bags. In case you didn't know, tofu works as well in smoothies as it does in your weekly stir-fry. Once blended, it will add a silky texture to your drink, along with plant-based protein and calcium. And thanks to the variety of non-dairy milks available at grocery stores like almond, coconut and oat milk, you can easily turn your smoothies vegan. By skipping animal products, you can reduce your saturated fat and cholesterol intake, says Nicole Geurin, MPH, RD. "This in turn can help boost your HDL (good) cholesterol and lower your LDL (bad) cholesterol and triglycerides — all of which may reduce your risk of heart disease," she says. 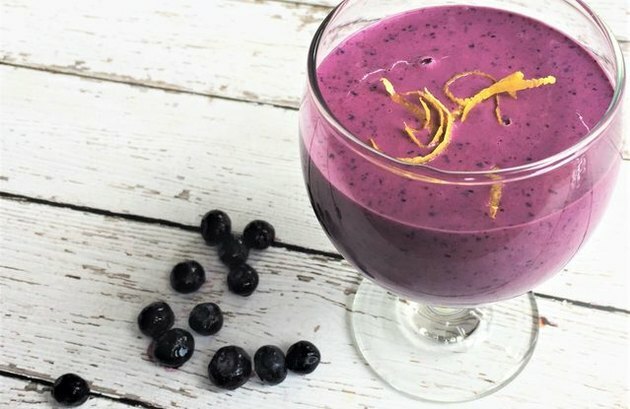 If you want to source smoothie recipes for weight loss, Newgent says there are some caveats, especially if you're going to use a smoothie as a breakfast option. 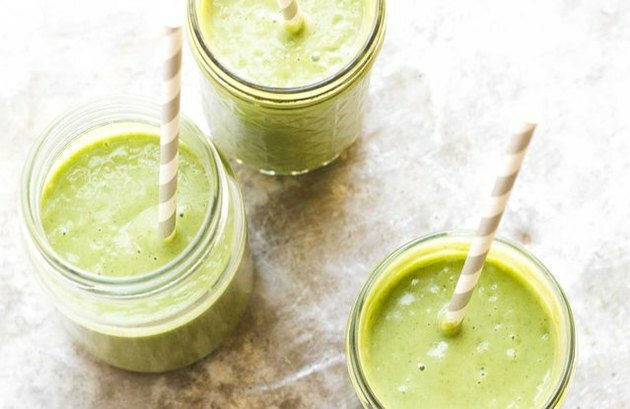 "The smoothie needs to provide enough energy (calories) and satisfaction to carry you to lunch, and it absolutely needs to be rich in protein — ideally 15 grams of protein or more," she warns. Adding "protein is key since your body and those muscles of yours need it throughout the day, not just at lunch or dinner time." 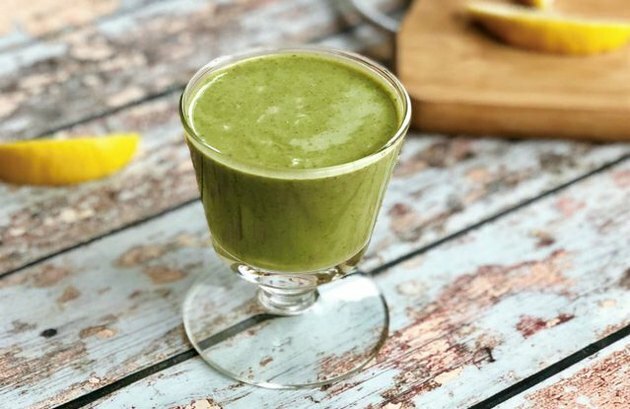 Whether you are following Keto, the Mediterranean diet plan, Paleo or a vegan diet, healthy smoothie recipes are so versatile, they can easily adapt to whichever lifestyle you choose. But, regardless of the diet, sometimes a straight up sweet-tooth substitute is also what you need. 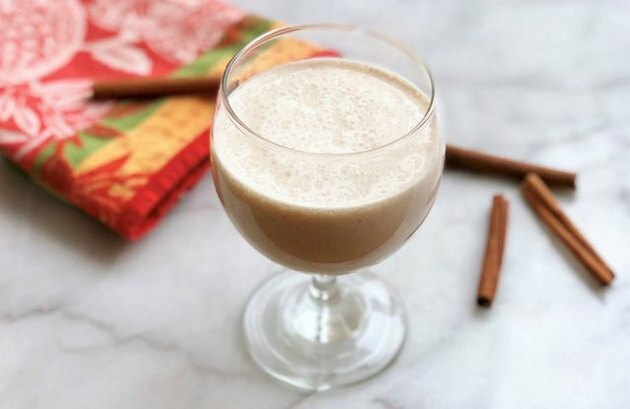 If you are craving cinnamon buns, try making this cinnamon shake instead. At only 240 calories, compared to the 880-calorie gut buster you'll find in the food court, this smoothie won't send you into a sugar rush thanks to low-calorie sugar substitute Stevia. Pumpkin, full of beta carotene which turns into vitamin A in the body, according to Medical New Today, isn't just a fall-time fruit. Thanks to canning (choose organic pumpkin puree and make sure not to pick up pumpkin pie filling by accident), you can have pumpkin all year round and get all the nutritional goodness this gourd provides. 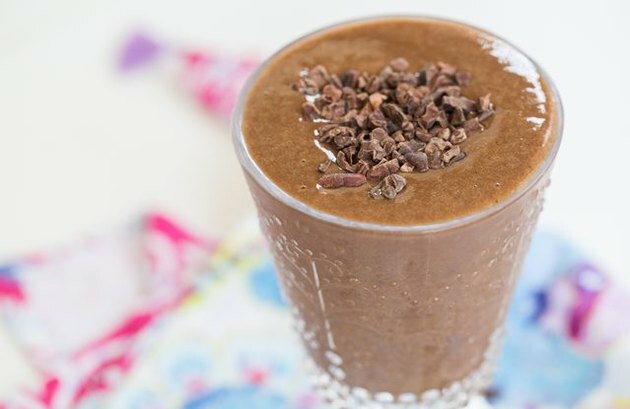 The best thing about this healthy smoothie recipe? It's full of ingredients that you probably already have stored in the freezer. A variety of frozen fruits and vegetables, from mango cubes to broccoli and baby spinach all come together with a splash of lemon juice, ginger and turmeric. Don't forget to add spices and herbs to your smoothie recipes. They add flavor and health benefits without adding calories. Ginger and turmeric have amazing anti-inflammatory powers along with a slew of other positive attributes like aiding in digestion. 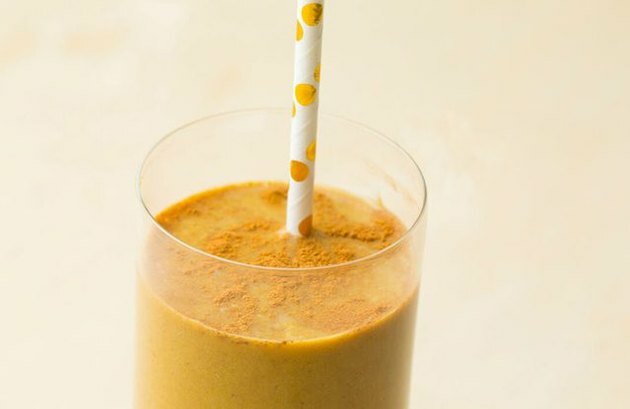 Newgent says the best things to put in a smoothie to lose weight is ample protein and fiber (with no added sugar) to satisfy your appetite, which will carry you from one meal to the next. "A smoothie with at least 5 grams of fiber and 10 grams of protein is a good bet. Choose ingredients that provide the duo like nut or seed butters, shelled hemp seeds and pulses," she adds. And try to choose whole foods with multiple nutritional benefits like shelled hemp seeds rather than singular sourced ingredients like hemp protein. The most important thing to do for breakfast, says Newgent, is to eat a breakfast that meets some of your daily food requirements such as a fruit, protein and a whole grain serving. "For weight loss, research suggests it may be helpful to be somewhat repetitive. It's okay to do the same thing, every day, for one of your meals. However, if you eat or drink the same thing every day (i.e. a smoothie for breakfast), do vary the ingredients used in it to vary the nutrients you're feeding your body," she advises.